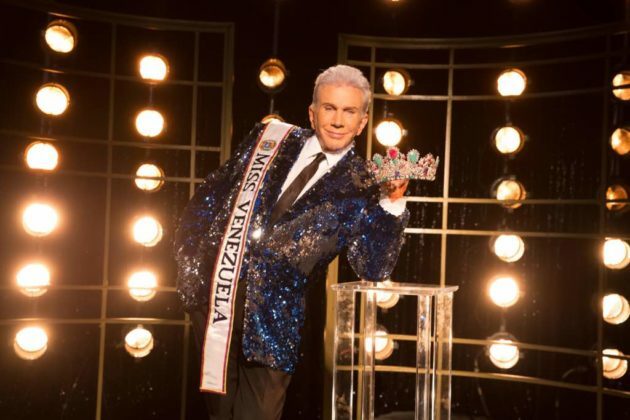 After four decades as president of the prestigious Miss Venezuela pageant, and after having brought six Miss Universe crowns, Osmel Sousa has decided to retire from his position. 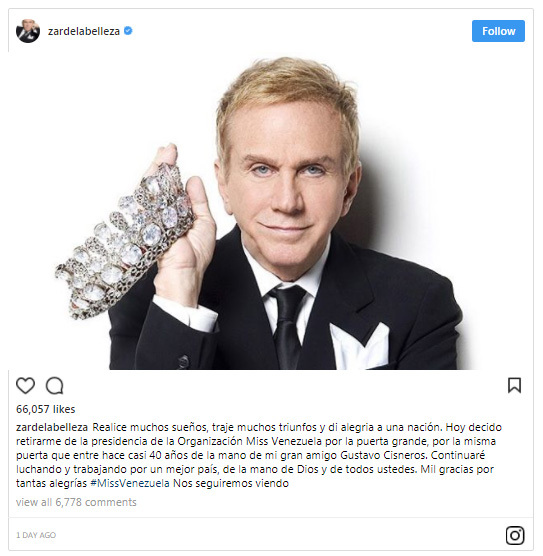 Sousa, better known as the "Czar of Beauty" ("El Zar de la Belleza"), announced his retirement on Tuesday, February 6, on his social media. Even though he did not give a specific reason for his retirement, Sousa stated that he will continue to struggle and work for a better country. The champion beauty queen maker made it in Guinness Book of World Records for having trained two Venezuelan women who were crowned Miss Universe in two consecutive years: Dayana Mendoza in 2008 and Stefanía Fernández in 2009. Sousa was born in Cuba but was raised in Maracaibo and Caracas.